SERVOCARE, a Third party Manufacturer Pharmaceutical Company launched and initiated together a modern lyophilizer for Derma and Skincare also other healthcare products. With the assistance of latest equipment, the automated and modern production process has been prepared. We offer a complete range of services with prompt and reliable assistance for all our customers. We manufacture an extensive spectrum of brand pharmaceutical formulation products in almost any form. Importers, distributors, and agents are always welcome to help us to introduce our products on their national markets. SERVOCARE also provides attractive Third party manufacturing of capsules and tablets are involved along with the production of SERVOCARE’S own commercial range. Being private-owned and fully independent pharmaceutical formulation company, SERVOCARE offers flexible terms of trade and gives each customer a personal attention. Our products are of highest quality and yet reasonably priced. Kindly contact us for your requirements to enable us to give you our best rates. We offer our products on third party basis and under neutral label for export. With an aim to stand top on the expectations of our precious patrons, we are engaged in providing Pharma Contract Manufacturers. Skilled professionals check these services on various quality parameters in order to fulfill the client requirement. Also, these services are rendered by employing highly experienced team members. We undergo Pharmaceutical Tablets Third Party Manufacturing Services, Pharmaceutical Tablets Third Party Manufacturing Services from gmp certified & who compliant manufacturing plants. Our products have been accepted and appreciated by the medical fraternity for their consistent quality and world class packaging. 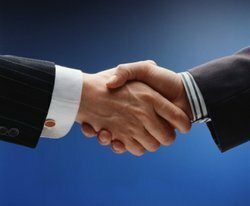 Looking forwards to healthy business relations with you. 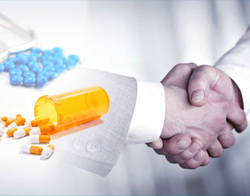 We are offering PharmaThird Party Manufacturing. Efficiency, promptness, and reliability are some of the factors that increase demand of our offered services in the market. Helped by highly driven technical excellence, our adroit professionals are able to render these services in an efficient manner within the shortest time interval. Also, we impart these services at the market leading rates. Contract Pharmaceutical Manufacturer also provides attractive contract manufacturing of capsules and tablets are involved along with the production of SERVOCARE’S own commercial range. Being private-owned and fully independent pharmaceutical formulation company, SERVOCARE offers flexible terms of trade and gives each customer a personal attention. Our products are of highest quality and yet reasonably priced. Consequently, our large-scale production capacities, highly qualified production, and quality control staff, manufacturing facility combine to give a perfect environment for outsourcing or contract manufacturing pharmaceutical products. Kindly contact us for your requirements to enable us to give you our best rates. We offer our products on third party basis and under the neutral label for export. Looking for Third party Manufacturer ?